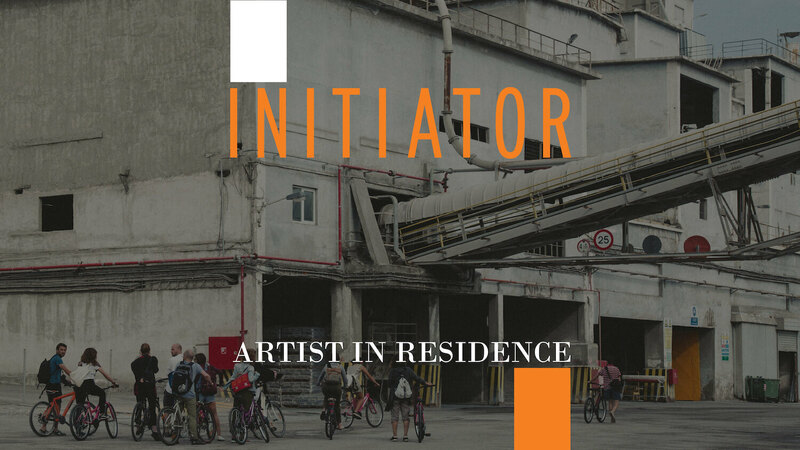 The exhibition of Sophie Innmann (Germany), Evi Kalogiropoulou (Greece), Doruntina Kastrati (Kosovo), Hortense Le Calvez (France), Panos Profitis and Despina Charitonidi (Greece) will open on November 8, 2018, as part of “Initiator”; the first international artist-in-residence programme on installation art, under the guidance of this year’s Initiators (mentors), Anne Langlois (40mcube) and Benoît-Marie Moriceau (Mosquito Coast Factory) in Central and Lower Eleusis. The programme was launched, in the form of a pilot, on October 8, 2018, with a one-week intense workshop, a period of in-situ research and production, culminating with the exhibition. Initiator activities are concentrated in Lower Eleusis, the port and the industrial zone. During the programme, artists had the opportunity to explore socio-political issues concerning labour and deindustrialisation and interact with the local community. The programme provides the opportunity to emerging artists, accompanied by experienced artists and curators, to conceive a project and experiment on small-scale installations. The exhibition “(Η’) Workshop” opens at the Synikismos Neighborhood, as part of the first artist-in-residence programme in collaboration with Athens School of Fine Arts and Professors Zafos Xagoraris, Giannis Kontaratos, Heike Schuppelius and Kostas Christopoulos. The exhibition presents works of first and second-year students. Within the workshop, from October 2017, students focus on the concept of the map, in relation to space, time, national ideologies, sociopolitical intentions, religious beliefs, etc. The students have been visiting Eleusis since February 2018, and have been inspired by the complexity of the urban, social and political strata, creating their own, personal maps. Their research is completed with an intensive field survey, taking place between October 18 and November 7 at the Synikismos Neighbourhood. Following the same logic, Eleusis 2021 proposes a theoretical exercise to young artists, who are still part of the educational process, by providing them with the necessary conditions to develop their ideas.